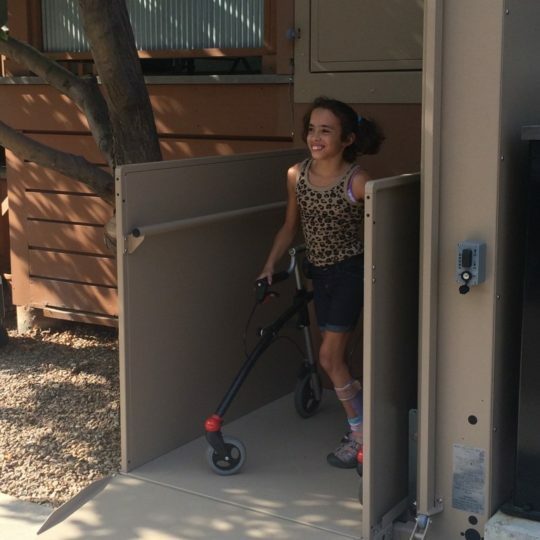 Kyla is an eleven-year-old Boulder resident who has cerebral palsy and uses a walker to get around. 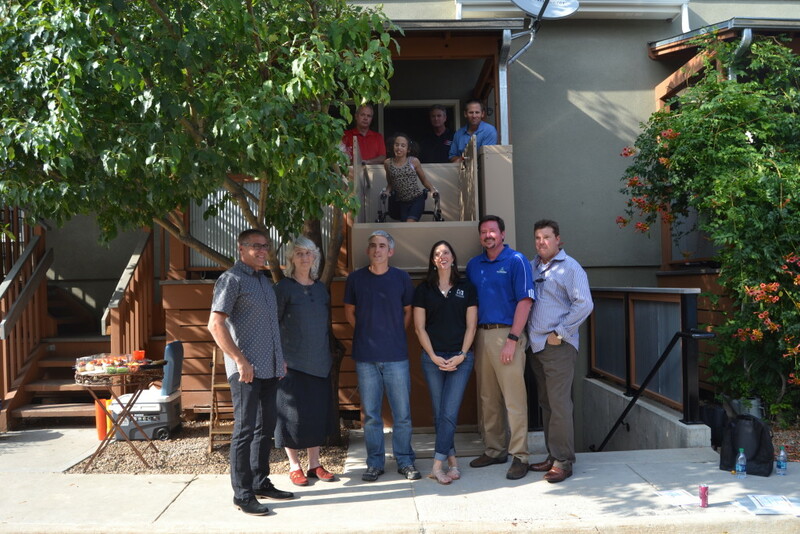 Kyla and her family came to the HBF to request assistance modifying their bathroom, so that Kyla could us it independently. They also were looking for a solution to enable Kyla to enter and exit their home by herself. 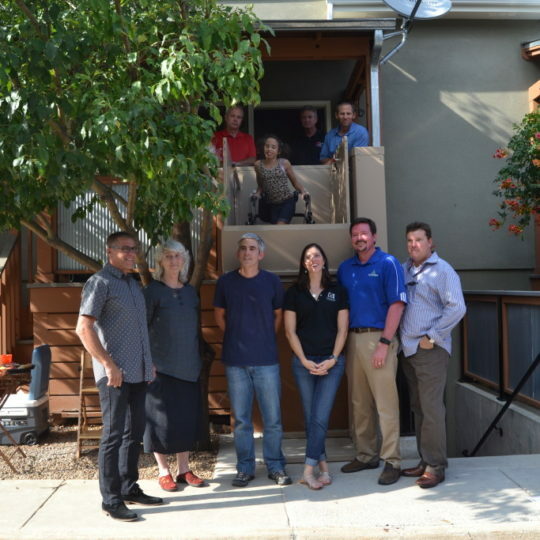 With the help of Saddleback Design, the HBF first modified her bathroom to be barrier-free. Because of the high cost of the vertical platform lift, the HBF needed additional funds for this portion of the project. Thanks to the the support of over 100 individuals and companies, $12,000 was raised in just 10 days. 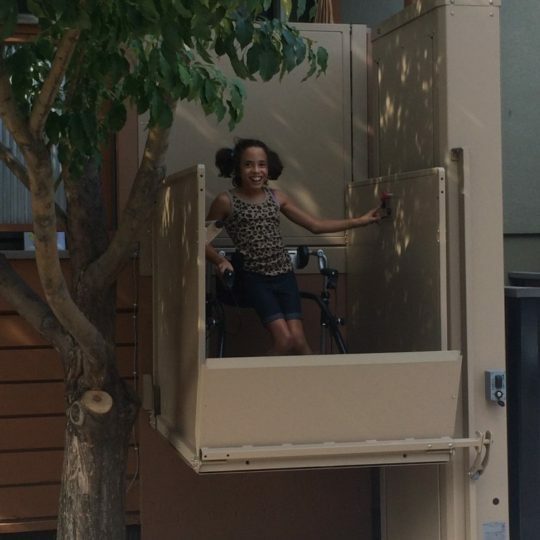 Because of the lift, Kyla can now enter and exit her home independently. 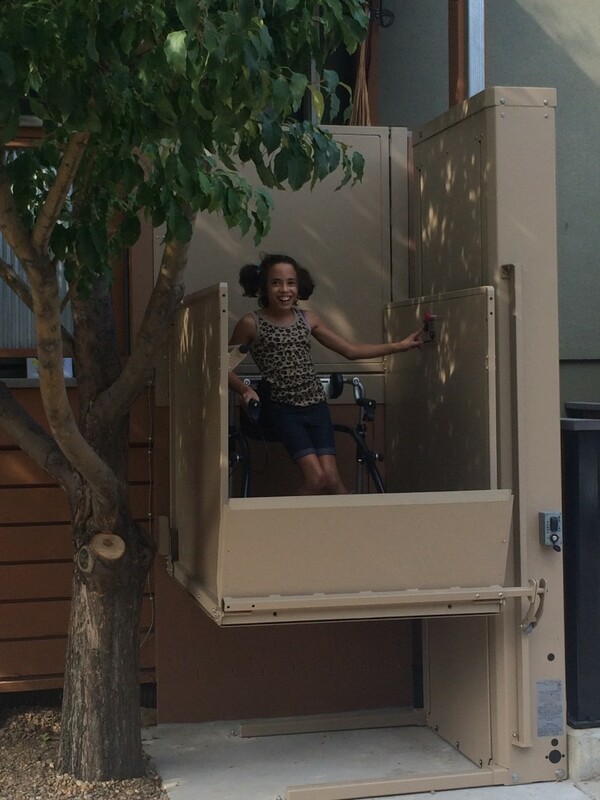 “Thanks to HBF and our new lift, my daughter can leave and enter her home on her own. Just the other day I was wondering where she had gone and found her in the park across the street. 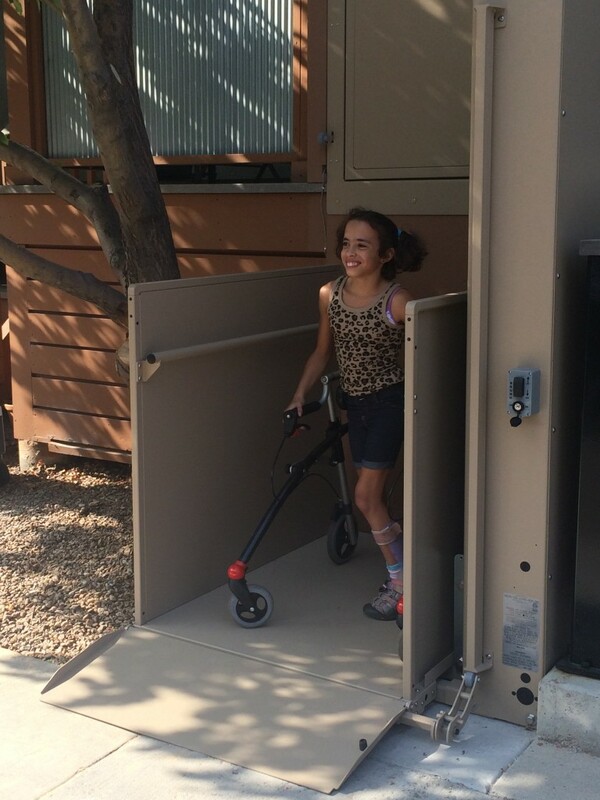 Her new independence is a godsend.” -Paul, father of 2015 recipient Kyla B.